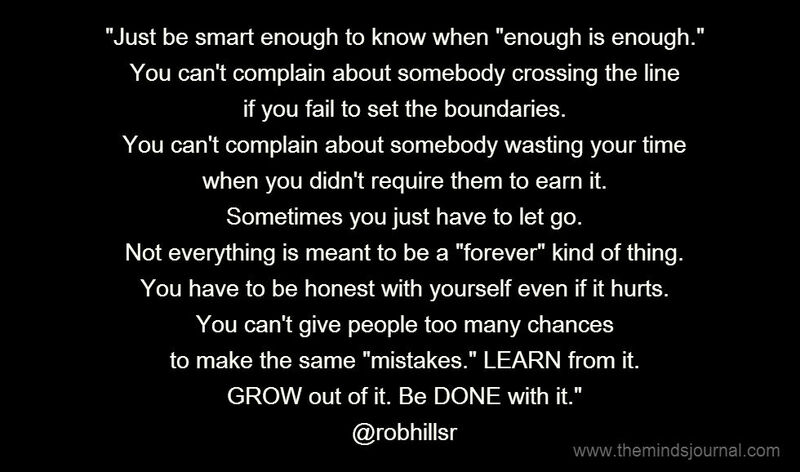 if you fail to set the boundaries. when you did’t require them to earn it. Not everything is meant to be a “forever”kind of thing. You have to be honest with yourself even if it hurts. to make the same “mistakes”. LEARN from it. Honesty with the self, can bring the best out for us. The wait is just to accept them. Awareness and acceptance are key! Wish hindsight would visit me 'before' the fact though lol! Its enough ! So Stop pleasing me ! I am not a toy that you always play me ! Help us, Rob Hill, Sr.